It's early November and as I'm writing this blogpost we are having our first snowfall! It's so magical when the rooftops and trees are lightly dusted with white fluffies! 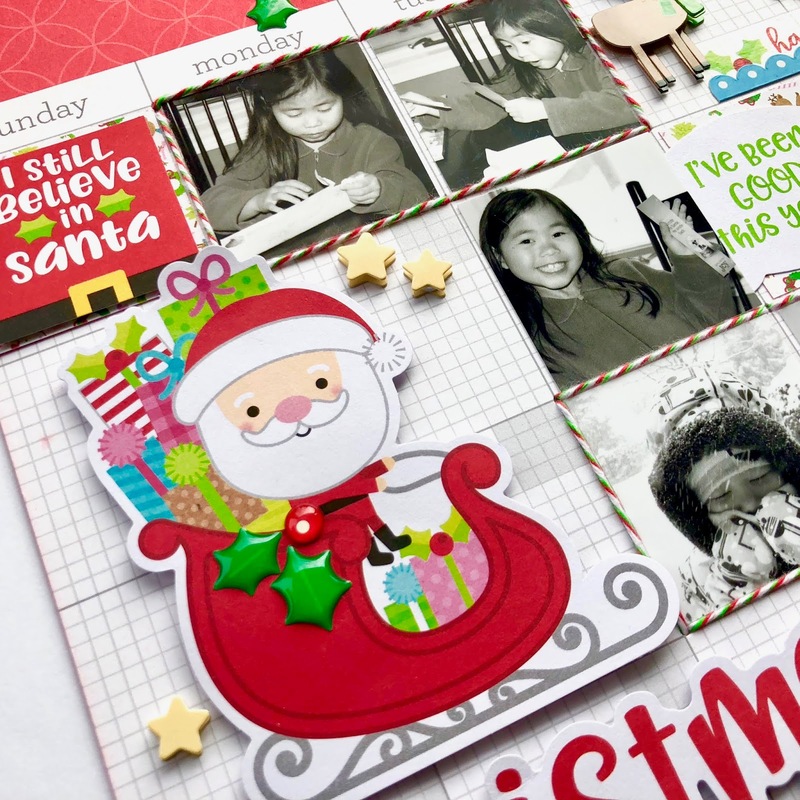 Do you have lots of holiday memories to document in anticipation to Christmas? 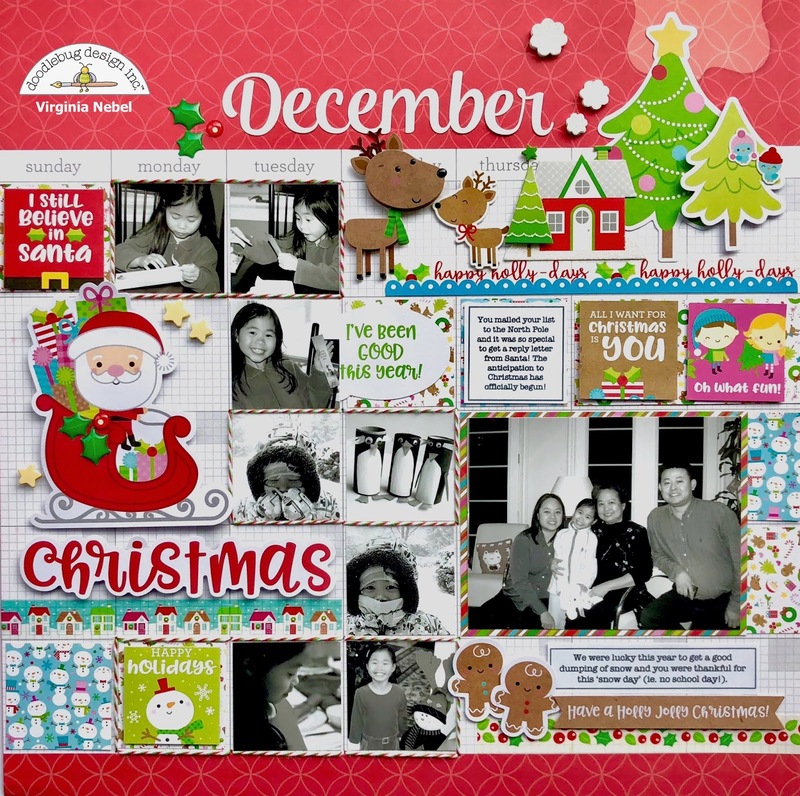 My layout records receiving Santa's letter, a fun snow day, a family gathering and Christmas Eve all in one 12x12 layout! Using one of the Daily Doodles calendar pages as the page base makes it easy to tell the story line of many events occurring in the month. Have you seen some of the adorable washi tape rolls with this collection? I used a few patterns throughout my page and are a great way to draw attention to embellishment clusters and journaling strips. I added some Christmas twine borders around the photos for some extra texture. On this page I used pattern papers mainly from the 6x6 pad to keep everything small in scale. 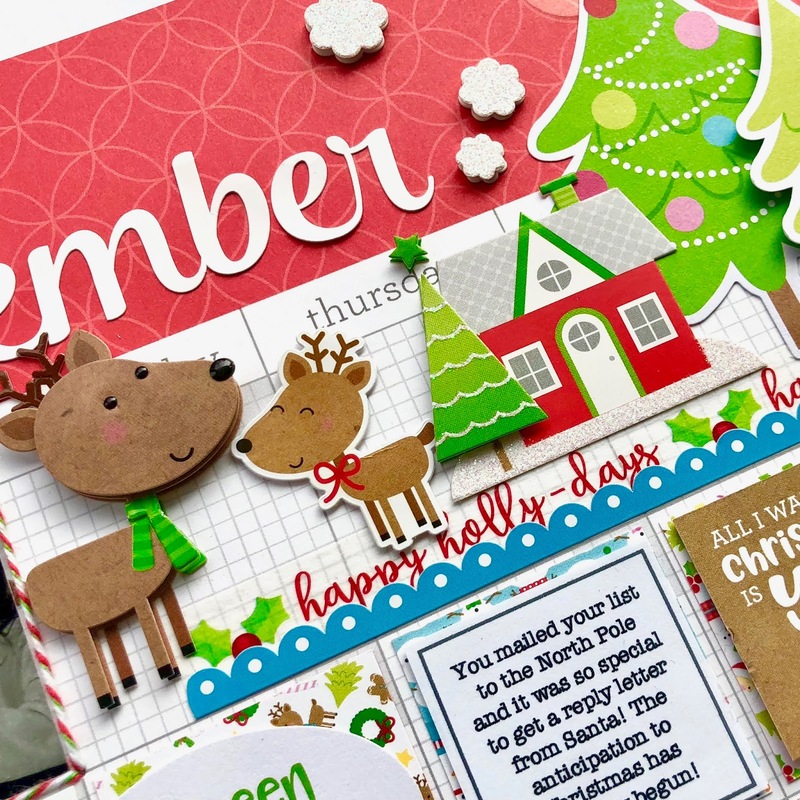 The cut-apart square cards paper is perfectly scaled smaller to fit in one of the daily grids on the calendar page. 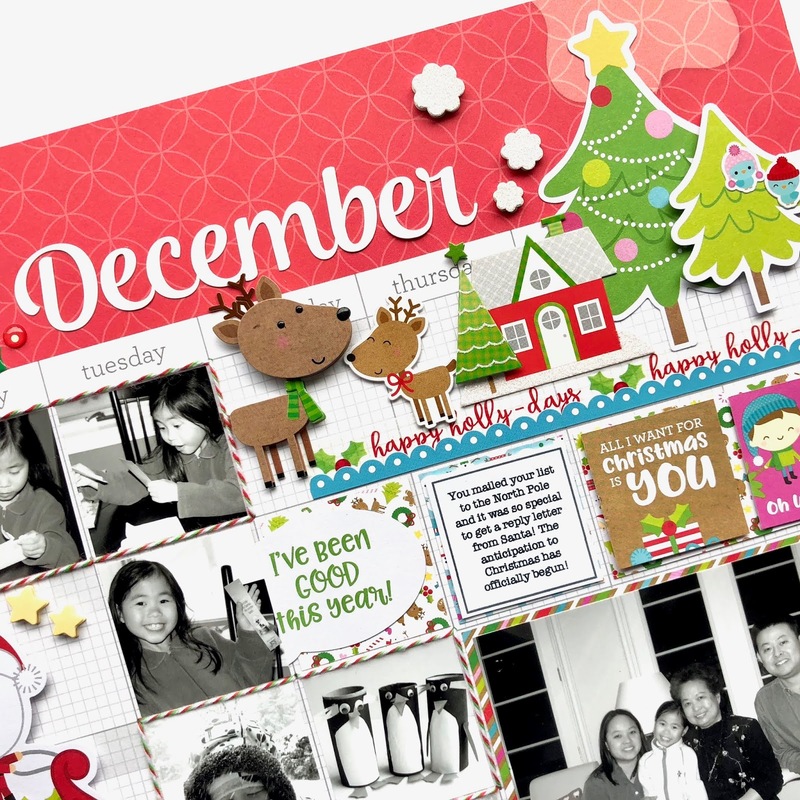 It's a busy fun-filled page for a busy month! Hope you all have a wonderful day! I just love this layout!!! The twine borders on the photos is a fabulous touch!!! love the idea and how it came out! where do I find the calendar pages--the store or cut files?